You had your home professionally landscaped about 7 years ago. Everything was placed perfectly where you wanted it and the flowerbeds looked beautiful. You settled down into your routine of making sure that your plants stayed healthy and were replanted every year in the case of annuals. But it’s starting to feel a little bit old. You’ve been growing the same flowers in the same places for the past 7 years and while it’s pretty, it’s not quite as exciting as it was when you first got it done. Landscape renovation is a great way to get that “Ahh” feeling back that you had when you first looked at your new landscape. Just because it was good when it was done doesn’t mean that it’s the best that it can be now. Renovating your landscape can be beneficial for a number of reasons. The initial design wasn’t great – Even if you liked the initial design, it might not be great for practical reasons. You’ll figure this out as time goes on. If you have someone come in professionally to do an assessment, they’ll be able to tell you whether or not you had a good design to begin with and how to improve it if it needs to be improved. The design has gone out of style – Your landscaping and hardscaping designs can go out of style just as easily as anything else. Keep an eye on the trends to learn a little bit more about what works and what doesn’t for today’s landscape designs. Alternately, you could talk to your new landscaper about classic designs that won’t fall out of style quickly. Your landscaping has fallen into disrepair – It’s not easy to keep a landscaping job up. Replanting every year and making sure that everything looked just as it did when the work was first done is a tough job. If you haven’t been able to keep up with everything, don’t worry about it. Sometimes it’s a good idea to start over. Maintaining a landscaping project takes a lot of time – most people don’t have the time or energy to put into it every day. Plants need to be pruned and flowers need tender loving care. 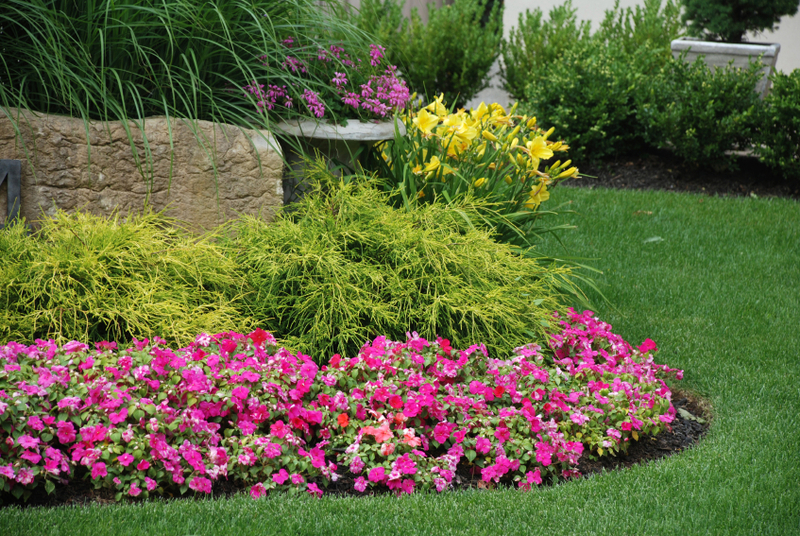 Hiring a landscape maintenance company is sometimes the best way to ensure that your landscaping stays in good repair. You won’t have to have your outdoor space renovated nearly as often and you’ll be able to enjoy your spring, summer, and fall months relaxing! To get your free quote, give us a call at 410-768-4720 or contact us via our website today. This entry was posted on Friday, July 11th, 2014	at 6:09 pm	and is filed under Lawn Maintenance Service	. You can follow any responses to this entry through the RSS 2.0	feed. Both comments and pings are currently closed.